By 1918, the British naturalist and ornithologist Collingwood Ingram had tired of studying birds. Several clues to the vocation he would eventually undertake were planted, inconspicuously but for a few weeks a year, on his property: two magnificent flowering cherry trees. 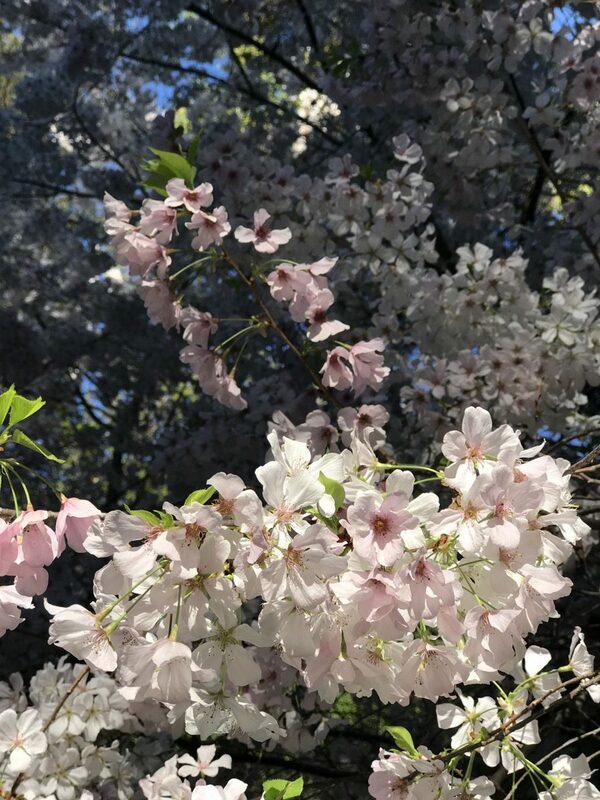 His fascination with their blooms soon led him to believe he could make his mark in the scientific world by studying the hundreds of flowering cherry cultivars developed over a millennium in Japan. When he arrived in Japan in 1926, he hunted for wild cherries all over the country on foot, horseback, and even from the sea, using binoculars to spot prime specimens. Throughout his travels, he became convinced that Japan was in danger of losing its multitude of cherry varieties, through modernization, development, and neglect, and he went on to evangelize for the wondrous diversity of flowering cherries in Japan, and back home in the western world. 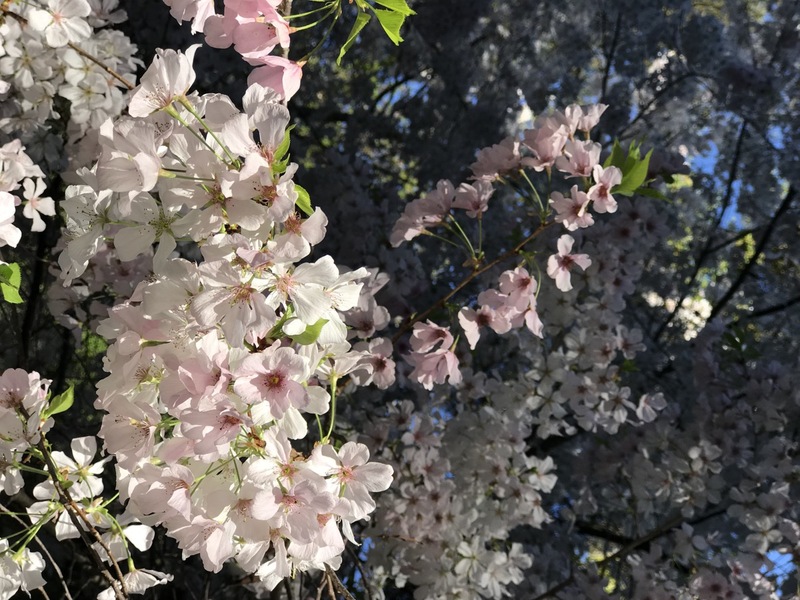 In The Sakura Obsession, Japanese journalist Naoko Abe tells Ingram’s story, and the cultural history of cherry blossoms in Japan. 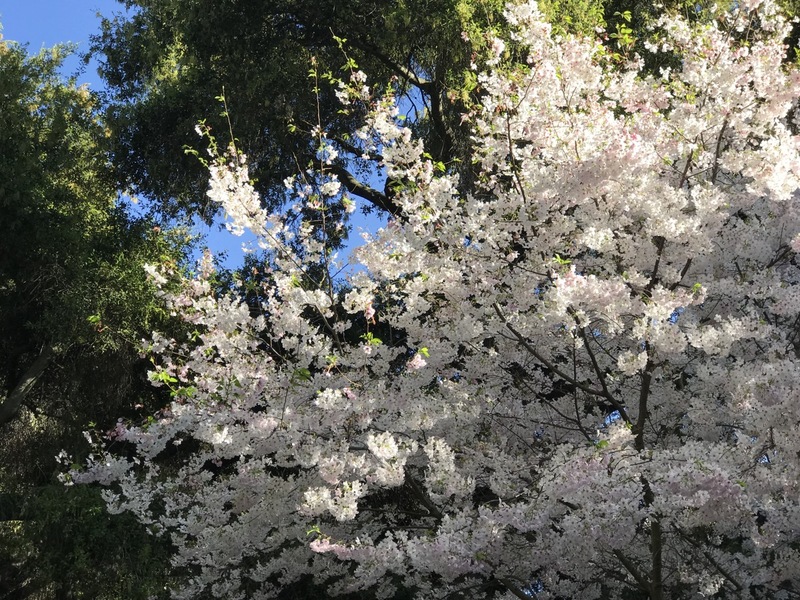 Read an excerpt from the book, and get obsessed with different varieties of cherry blossoms with these photos from producer Christopher Intagliata’s visit to Descanso Gardens near Los Angeles. Read an interview with Naoko Abe in The American Scholar. 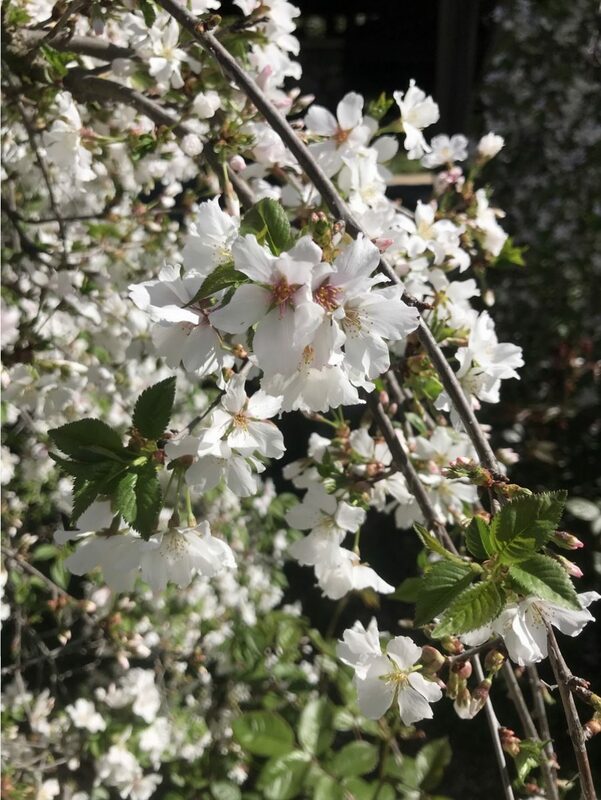 Check out producer Christopher Intagliata’s twitter thread with even more photos of cherry trees. 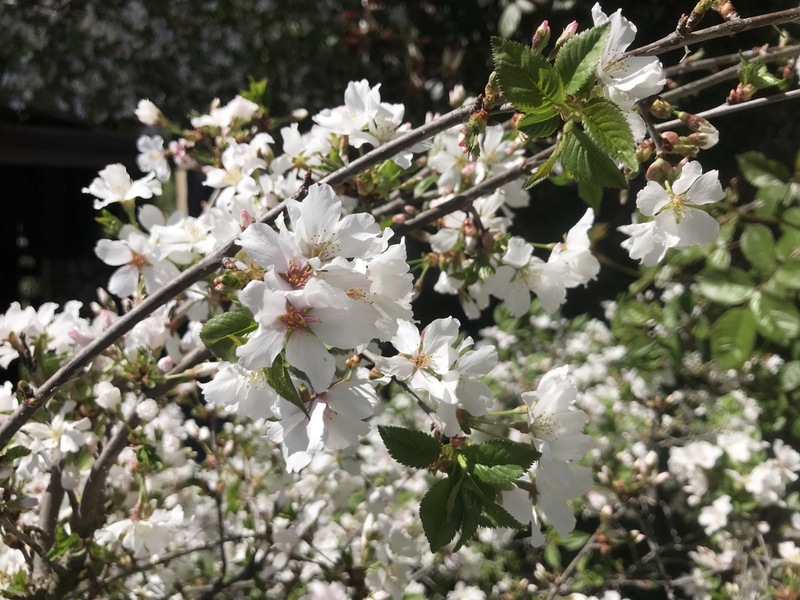 Take a look at “Eight Things You Probably Don’t Know About Flowering Cherry Trees” from the Brooklyn Botanic Gardens. IRA FLATOW: This is Science Friday. I’m Ira Flatow. It’s cherry blossom season across the country, the famous tidal basin in Washington DC, of course, which has already hit its peak. And here in New York, those pink and white clouds of flowers are well, we’re getting ready for them to just about pop here. Our famous blooms, they have an interesting and little known backstory too. Listen to this. Japan sent the first shipment of 2,000 cherry trees to the US in 1909 as a sign of gratitude to America. But that shipment isn’t what you see blooming today, because it was infested with insects, and the whole thing was incinerated. Now a second shipment of saplings destined for New York, that sank on the steamer en route. So it wasn’t until a full three years later that the first Japanese cherry trees arrived in New York and Washington, safe from insects and shipwrecks. And that’s just one of the many interesting tales in The Sakura Obsession, a book about the cultural history of cherry blossoms in Japan and around the world, and about a really interesting character, English ornithologist and naturalist Collingwood “Cherry” Ingram, who devoted his life to cataloging and preserving these blooms. And boy, did he have opinions about cherry varieties. But we’ll get into that. I want to introduce the author. Naoko Abe is a former journalist from Japan’s Mainichi newspaper, and the author of The Sakura Obsession– The Incredible Story of the Plant Hunter Who Saved Japan’s Cherry Blossoms. We have an excerpt up on our website, and we have some interesting cherry photos for you at sciencefriday.com/cherry. Naoko, welcome to Science Friday. NAOKO ABE: Yeah. Hello. Thank you. IRA FLATOW: Let me get the obvious question out of the way, about are you related to the prime minister of Japan at all? NAOKO ABE: No, no, not at all. IRA FLATOW: OK. Because our listeners are going to want to know that. But Abe is a very common name in Japan. NAOKO ABE: Yeah, pretty common, yeah. IRA FLATOW: Let’s start– let’s talk about Ingram. He didn’t start out as a cherry enthusiast, did he? You write that his first scientific endeavor was ornithology, studying birds. NAOKO ABE: What happened, basically he got fed up with birds. IRA FLATOW: That’s pretty simple. NAOKO ABE: Well, yeah. He was a true naturalist, and so he was very much interested in nature. He grew up in the nature. And he never went to school. But it was the First World War that he went, which changed his views on life. So he saw lots of deaths, and it really changed his views on life. So when he came back from the war– well, he didn’t fight, he went as a compass adjuster– but he saw lots of death, and dark side of the human lives. So when he came back to England from the war, he wanted something new. He wanted to start– he was having kind of a crisis, mid-life crisis. IRA FLATOW: We have those, yes. NAOKO ABE: Yes, mid-life crisis, so he wanted a new start. And also he was tired of ornithology. He thought there were too many ornithologists. And so he bought a new house, with his wife and four children, to live in, in Kent, big house. But he didn’t have a garden, so he thought– he bought massive amount of– massive acres of land. But so he thought, “Oh, maybe this is my new area that I can build a new garden of dreams.” So he thought he would become a plants man instead of ornithology. IRA FLATOW: But he chose cherry? NAOKO ABE: He chose cherry because there were two massive cherry trees in the new house, which were kind of rarity back then. It was in 1919. They were not popular in Europe at all. IRA FLATOW: Well, in Europe, people expected the cherry trees to produce cherries. IRA FLATOW: And these did not produce cherries, right? NAOKO ABE: No, they were ornamental Japanese cherries, which were very rare back then. People didn’t care about cherries who didn’t produce– which didn’t produce cherries. So anyway, those two big cherry trees caught his attention, and then in the following spring, they were smothered with pink blossoms which were really beautiful. And he thought “This is a virgin territory that no one explored before, so maybe I can be an expert of cherry blossoms.” He was very passionate, very passionate man, and very ambitious. So he thought he could be an expert. So he starts collecting different varieties of cherry blossoms. So within six years, he had a massive cherry orchard in his garden. He collected them and then planted them in his garden, and created a beautiful– and within six years, he was a cherry expert, sort of. And he was a believer of diversity and varieties, so it was very important for him to have as many varieties of cherry trees as possible, which he did collect. IRA FLATOW: And did he go to Japan and study the cherry trees over there? IRA FLATOW: Well, he had very strong opinions about which kinds of cherry varieties, didn’t he? I mean, like the Kanzan for example, which he thought was obscene. IRA FLATOW: He really had strong opinions about this cherry tree. IRA FLATOW: Proper cherry tree, they’d be very proper. NAOKO ABE: –very simple, but delicate, and quiet beauty. And so he disliked Kanzan. But he loved many other varieties. IRA FLATOW: He sort of thought of cherry trees like people. IRA FLATOW: He thought of them as people. NAOKO ABE: They were like his children. And he was talking to them, and he was really loving each variety. He was often asked by other people or by media to write about cherries, and which varieties do you like best? He would often say, “It’s like asking a mother, ‘Which child do you prefer, is your favorite? '” So it was difficult. IRA FLATOW: Well, while he was in Japan, he was invited by business and government leaders to give a speech about cherries. And he gave them a warning, right? NAOKO ABE: Yes. He had high hopes in his 1926 cherry hunting trip. But as soon as he got to Japan, he was deeply disappointed, because he found out that at that time, especially at Tokyo and Yokohama area, Kanto area, was trying to recover from the Great Kanto Earthquake, which destroyed everything in that area. And so all he saw was a huge Western building, concrete buildings, and there was no nature. So he was deeply– he doesn’t like civilization. He loves nature. And then at the same time, he discovered that the Japanese people no longer cared about cherry varieties which had been developed over the past 2,000 years or 1,000 years. And so he was deeply disappointed, because he didn’t know that. So he gave a warning, say to the top leaders of government officials or politicians or royalty or business leaders. It was really the cream of the establishment gathering. He said, “You must treasure the past. You must treasure all these beautiful cherry varieties, which are in serious danger of extinction.” In fact, quite a few of them had gone extinct by the time he went. IRA FLATOW: –the cherry varieties in Japan? NAOKO ABE: Exactly. He thought that the– he said in his speech to the meeting, that unless you did something about this crisis, you would have lost permanently, in 50 years, you’ve lost all of the cherry varieties. You would have to go to America or Europe or to the UK to find the varieties. IRA FLATOW: Did they listen to him for this warning? Did they heed the warning? NAOKO ABE: –they were the leaders of that trend, movement. So unfortunately he gave a stark warning, but I think it fell on deaf ears. IRA FLATOW: So [INAUDIBLE] was he took it upon himself. NAOKO ABE: The extraordinary thing about him is that he decided to save and preserve them himself in his Kent garden. IRA FLATOW: Is that right? Wow. You write in the book about a transformation of Japan’s cherry trees, the planting of a single species, the Yoshino cherry, instead of a wide variety of species. And that’s what we see in the Potomac? The Potomac cherry is the Yoshino? NAOKO ABE: That’s right. Yeah. IRA FLATOW: And so you’ve now– the word I’m going to use, vanilla-ized. Now you’ve taken one species, and made it above everything else. And then people don’t start looking at the other beautiful varieties of the pant. NAOKO ABE: Yeah. And what was happening in Japan was that Yoshino cherry was developed. It’s kind of a young variety– it was developed at the end of the 19th century– compared to other varieties which had thousands of years. IRA FLATOW: So you’ve overshadowed all those traditional varieties. NAOKO ABE: Yeah. What was happening was that the new government, the Japanese new government which was focused on westernization, industrial, and modernizing the country, was looking for a new symbol, kind of symbol of new Japan. And this cherry fitted that purpose, because they were beautiful, and they grew fast, and they were inexpensive to propagate, and easy to propagate. And so very quickly, they attracted people’s attention, and the authorities’ attention that it was very convenient to plant. And very quickly, the mass production system was set up. And so they were, this variety, single variety was planted en masse in thousands. Every time Japan won a major war, whether it was with China or with Russia or the enthronement of a new emperor, Emperor Taisho, and Emperor Showa, Hirohito, this variety was planted en masse, like 2,000, 3,000, all over Japan. So in essence, it took over the old varieties which had thrived over centuries. IRA FLATOW: Oh, that’s too bad. That’s too bad. NAOKO ABE: Yeah. So they were forgotten. People still loved cherry blossoms, but the single variety. IRA FLATOW: That’s why we see them in the Potomac. I’m Ira Flatow. This is Science Friday from WNYC Studios, talking with Naoko Abe about her book, The Sakura Obsession– The Incredible Story of the Plant Hunter Who Saved Japan’s Cherry Blossoms. I want to ask you read a passage in the book, because it was so fitting. It was before environmentalism became a mainstream idea. Ingram was talking about these issues, modernism, as you say, progress, and so on, coming at the cost of the natural world. And you have a passage to read us that reflects his thinking on that. Could you read that for us? NAOKO ABE: That’s what he said over 90 years ago, which is very relevant to modern times. IRA FLATOW: Like a prophet, he could see that happening. 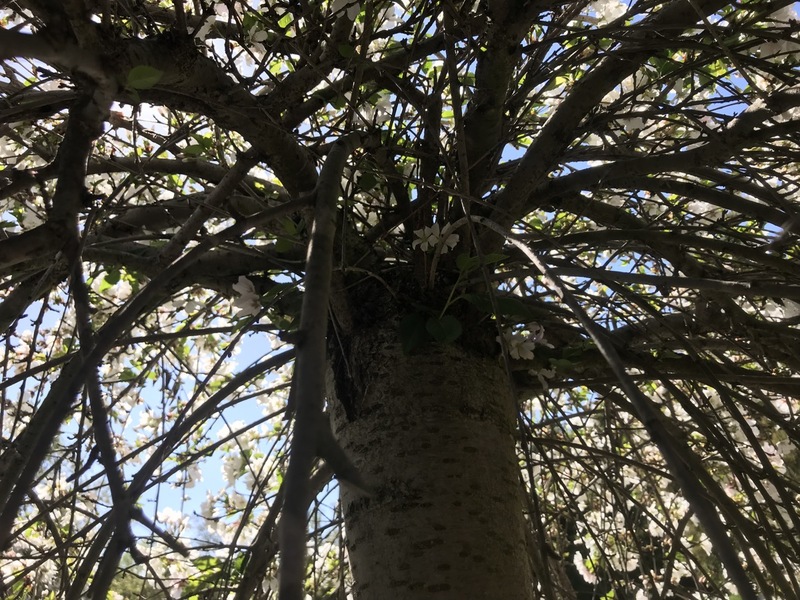 He says, if this is going to happen to my cherry blossoms, we’re going to have one variety for everybody, and we don’t care about all the other details, and this could happen to the rest of the environment around the world. IRA FLATOW: Are you going to go out and see the cherry blossoms here? NAOKO ABE: In the States? IRA FLATOW: In the States? NAOKO ABE: Oh, yeah, yesterday. IRA FLATOW: Yeah, where were you? 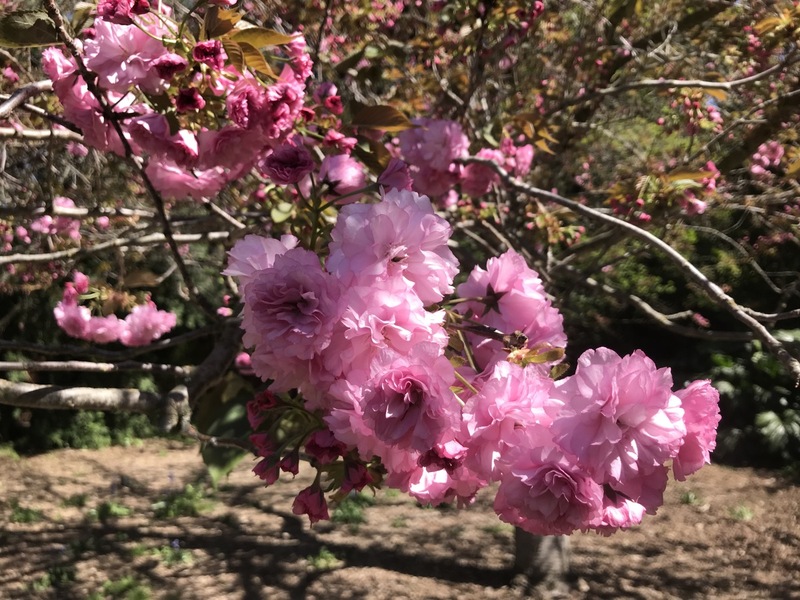 NAOKO ABE: Yesterday, I went to Brooklyn Botanic Garden. And I saw Collingwood Ingram’s creation. It’s this variety called Okame. It was in beautiful blossom. It’s his creation he hybridized. IRA FLATOW: How did it get to Brooklyn? NAOKO ABE: How did it get to Brooklyn? IRA FLATOW: It’s interesting to look into that. IRA FLATOW: Yeah. Well, it’s a beautiful garden there. NAOKO ABE: Yes, and quite a few of his cherry trees in his Kent garden came over here to Washington’s National Arboretum, like whether it is Tai Haku Great White Cherry or Hokusai is named after the great woodprint of– which was the first cherry tree which attracted attention to become a cherry expert. So Hokusai, and, yeah, a few others. IRA FLATOW: So you if you want to find them, you can see them all around the country, his cherry trees. IRA FLATOW: In the states, yeah. IRA FLATOW: It’s fascinating. Thank you for this book. It’s a wonderful book. I’m a historian of science. I love to read these books. And you’ve done a wonderful job in there. We don’t have enough time to get into all the details, but it was very nice of you to come by and share with us. 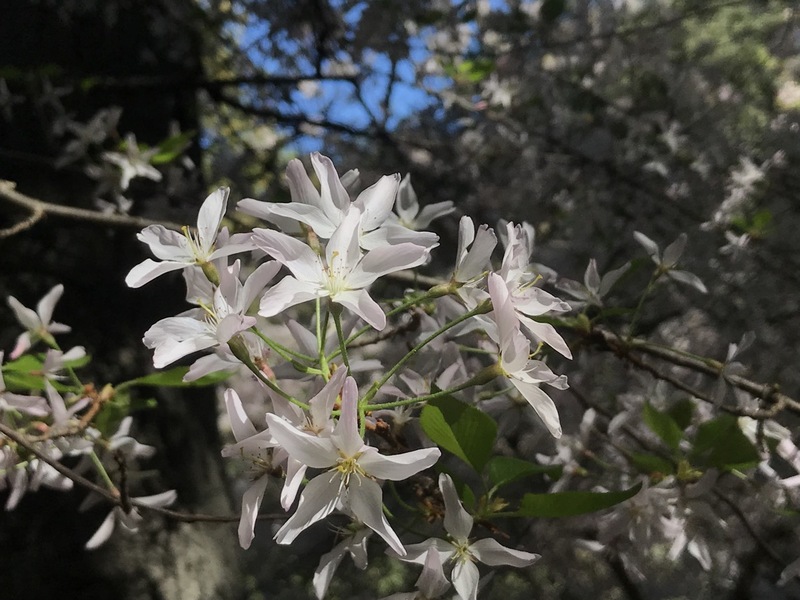 IRA FLATOW: And Naoko Abe is author of The Sakura Obsession– The Incredible Story of the Plant Hunter Who Saved Japan’s Cherry Blossoms, a really interesting tale. You would’ve never thought about this. And as you go out and look at the blossoms blossoming, you can go to our website, and see some of the cherry photos we have up there at sciencefriday.com/cherry. Outside of Mr. McGregor’s garden and in her own life, Beatrix Potter—author of “The Tale of Peter Rabbit”—had a curious eye for the nature world around her. Orchids use mimicry, fraud, and deception to attract pollinators, fascinating home gardeners in the process.